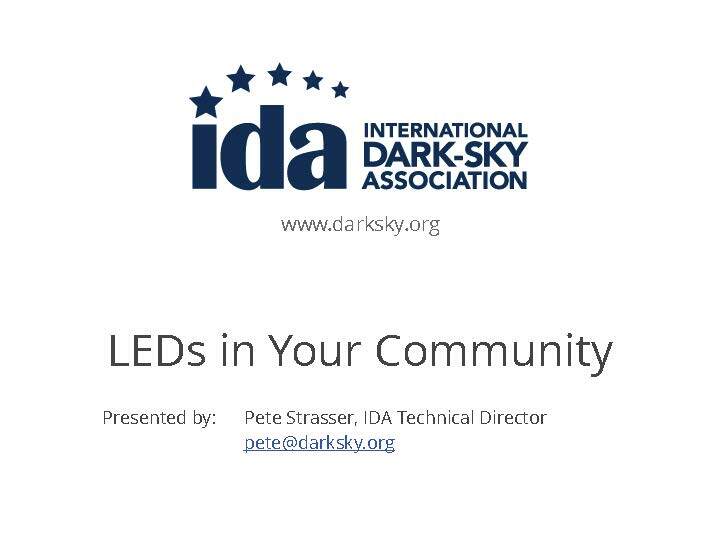 Grassroots supporters from 15 countries joined IDA technical director, Pete Strasser, for a free webinar about LED lights, technology, and how to promote responsible lighting in local communities on August 31. Click here to access the recording. To learn more about how to get involved with LEDs in your community, please contact our Chapter Coordinator, Katherine Gader. For technical questions about LED technology, contact our Technical Director, Pete Strasser.